Bay Cities had been itching to announce our 2018 Christmas gift! 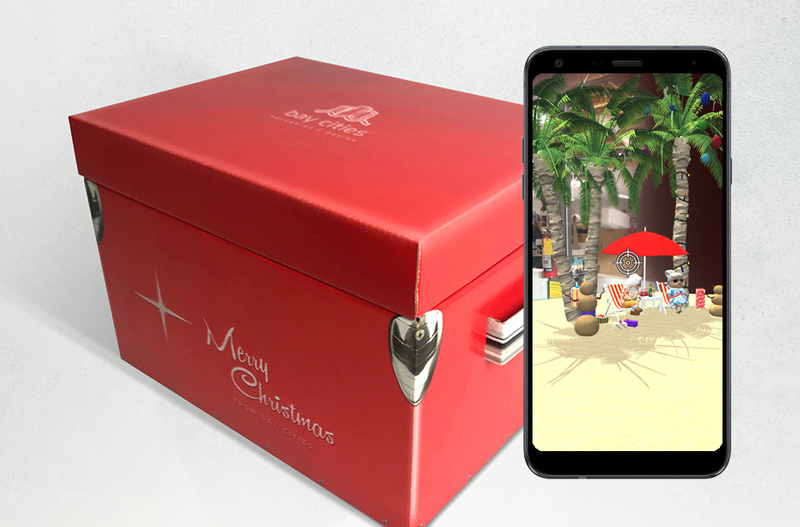 We developed, designed and manufactured an ice cooler with Augmented Reality for our “Summer in December” holiday season gift. Bay Cities is headquartered in Southern California, and the gift was based on warm weather and beaches to reflect Bay Cities roots. The corrugated box shaped like a cooler mimicked a vintage ice chest filled with custom-branded craft beers to bring the theme of a beach vacation to life. We included Obagi sunscreen, a valued customer, a branded mason jar tumbler, and candy. How do we make all this magic happen? Step 1 was brainstorming to come up with all kinds of fun, exciting, “out-of-the-box” (no pun intended) ideas. We set no limits! We knew the bigger and more unattainable the idea seemed, the greater the gift would be. Step 2 relied on our structural design team, which has the honor of bringing our imagination to life. Not an easy task as there are a lot of factors to consider such as the package needs to be sturdy, it needs to be able to hold gifts, and to pass the ISTA testing. The structural designers hand-rendered and utilized CAD technology to design the cooler. 3D pop-ups of beverage bottles and die cut ice shapes provide the visual experience of the reveal. We also had to make sure that all gifts would fit perfectly and arrive at their destination in pristine condition after shipping. The shipper brown box included filler, die cut on the Bobst SPO 160 vision, to keep the corrugated gift box from shifting in transit. Before moving ahead to the next step, the team ensured that the corrugated package passed the ISTA ship test in our certified lab. Step 3 let our excited graphic designers bring the box to life! We went over many styles and look books and eventually settled on a throwback look and feel. It’s also exciting to add all kinds of nuanced aesthetic details. The sky is the limit! Creating the graphic experience would only enhance the structure. A red patina exterior was combined with such details as vintage-inspired typography, simulated wear and tear, and chrome hardware. The embossed, stylized messaging included a play on the classic song in the tagline, “Baby, it’s warm outside,” and featured a hidden reflection of Santa in the bottle opener graphic. See if you can spot it! Step 4 included the production team stepping in to manufacture this gift! For those that identify as “print or design nerds,” let’s go a little deeper into how this amazing gift came to be! We utilized a Litho film-laminated label for a smooth, durable exterior finish. The full film laminated litho was processed on the high-speed Oppliger. The Automatan 7000 laminated the label on both sides of the sheet. Then, to keep the registration of the colors in line, the die cut was done on the Thompson, which follows a more hand-done process that lends to the authentic look of the chest. The interior features a galvanized steel texture and simulated ice, both achieved with Litho and Flexo printing techniques. The spot litho on the inside was run through the Automatan 7000. The inside of the box that houses the gifts featured a solid color of print coverage and die cut on the line with the Cuir Rotoplatine Mark II. Of course, this was a prime opportunity for us to show off our newest piece of equipment: the Bobst 8.20 Expertline! We want the world to know what the Bobst can do! The shipper brown box needed to fit the design of the gift itself. We wanted your interest to be piqued the moment this package arrived on your doorstep. To stand out from the masses of holiday packages, the custom brown box is a retail ready design with perforation allowing for easy, instant conversion to display and to enjoy the inside where all the magic of the gift lies. The graphics were designed to demonstrate the capabilities of our Bobst 8.20 Expertline printer, a best-in-class machine that is capable of up to 24,000 boxes/hour with minimal setup. The Bobst can print up to 4 colors on line. Our customers benefit from the efficiency of the Bobst with its Flexo-folder-gluer all-in-one capability and the swiftness and ease of setup with the machine. With the Bobst, there is no need to stock up on corrugated boxes and you can easily have the brown boxes produced when you need them, which cuts down on the project timelines and storage space. Step 5 unleashed Augmented Reality on the already gorgeous packaging! The icing on the cake was the package coming to life with the help of Augmented Reality in a fun, interactive game played on the Bay Cities app! Customers will open or download the Bay Cities app to see the imagined beach vacation gift in 3D by focusing their camera on the Bay Cities newly rebranded logo on the box lid. Then, get ready for some technological thrills with an exciting, fun, and engaging game that can be played through the Bay Cities app. The experience includes a scoreboard and participants can view the game from different angles on their phone. Recipients of the gift will be able to compete against each other through AR. Do you have any unique ideas you want to share link to social media site with us at Bay Cities? Do you need advice on how to produce something just as magical and creative? 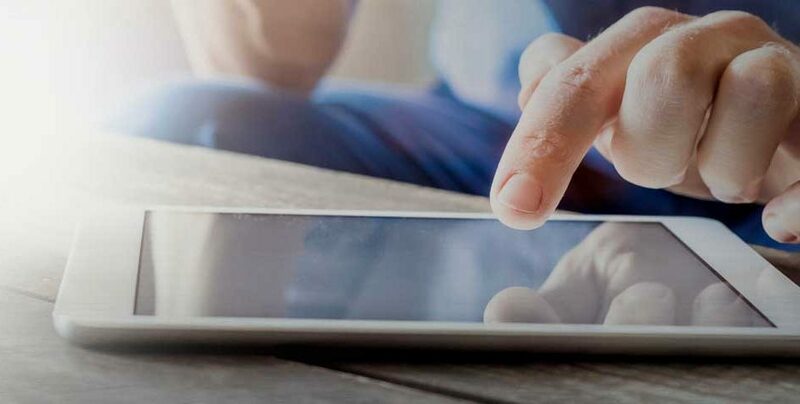 Reach out Bay Cities to find out how you can make your “out-of-the-box” ideas fit “in-the-box!” We’re happy to help you explore innovative ways to showcase your brand and entice customers. Contact us today. Stay tuned for more creative ideas!